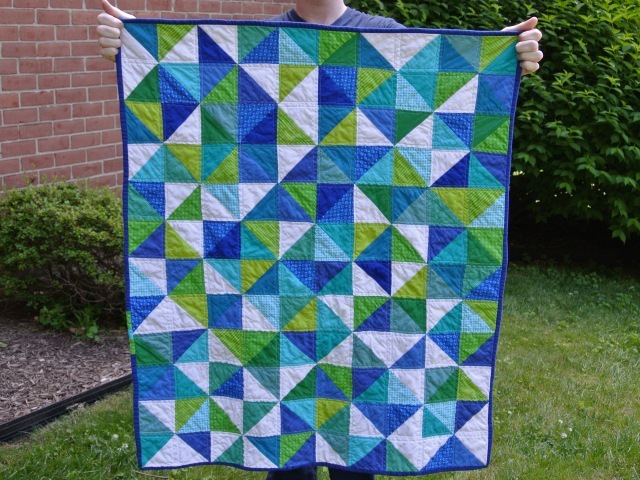 Well I didn’t finish this quilt before the baby boy that it was intended for was born, but I did complete it before we drove up to NJ to go meet him. 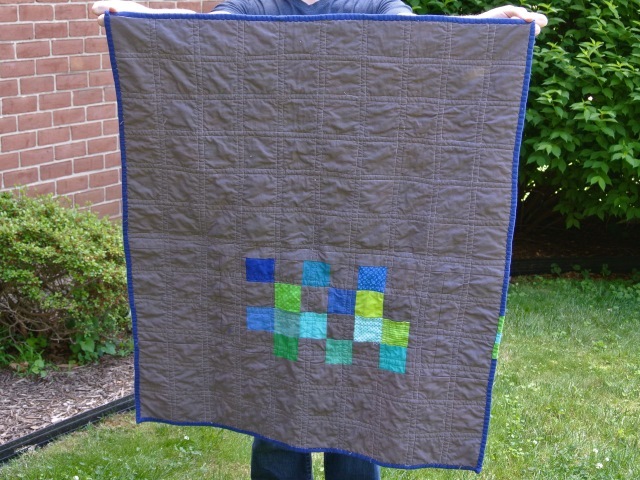 The final quilt measured about 40 inches by 46 inches. It came out slightly smaller than I was intending, but it ended up being the perfect size for baby. I had some leftover squares of fabric and cut them down to make a little design on the back. I mixed them with a dark grey. I used a medium-dark blue to do the binding, which I think frames it nicely. 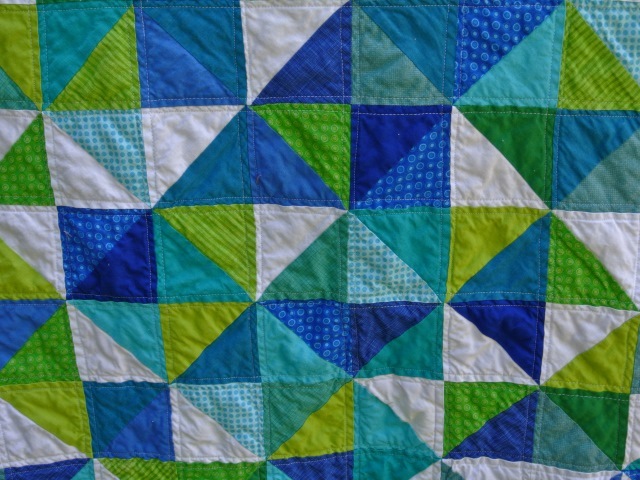 I love the colors and design of this quilt, and am tempted to make a similar, albeit larger one for myself. 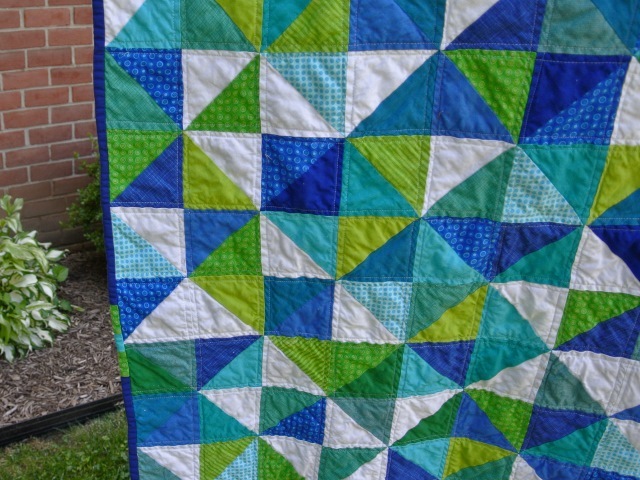 This entry was posted in baby, crafty, gifts, quilting, sewing and tagged baby, baby boy, fabric, Quilt, quilting, Sewing.